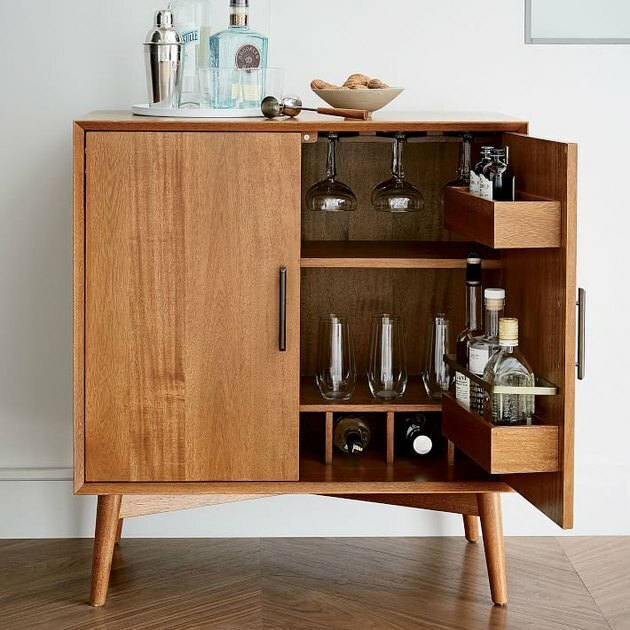 Bar carts, liquor shelves, bar cabinets ... if there's one thing we know, it's that alcohol storage (in its many forms) is having a moment. Bar cabinets are ideal for those who don't want to drill anything heavy into their walls or want the option to hide away their liquor rather than displaying it 24/7. 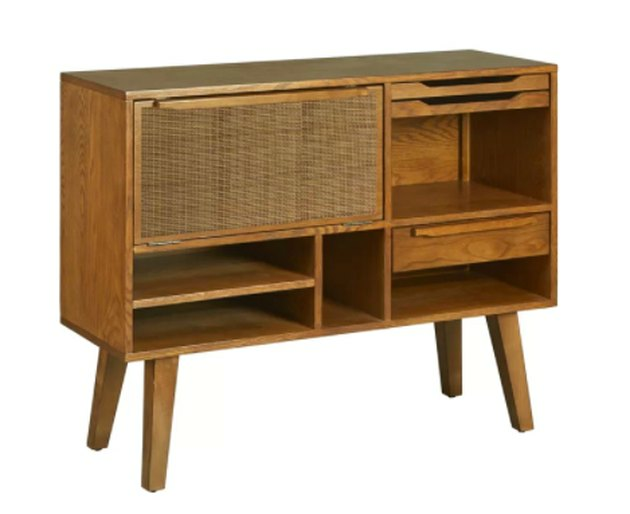 On average, they're the priciest alternative, but they double as beautiful pieces of furniture, too, so you can't really complain. Check out some of our favorite options below. 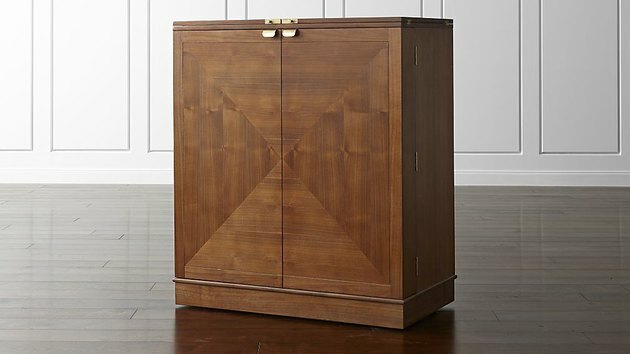 This walnut bar cabinet has plenty of slots for wine bottles and stemware racks. The inside of this special oak and seagrass piece is mirrored. How retro! 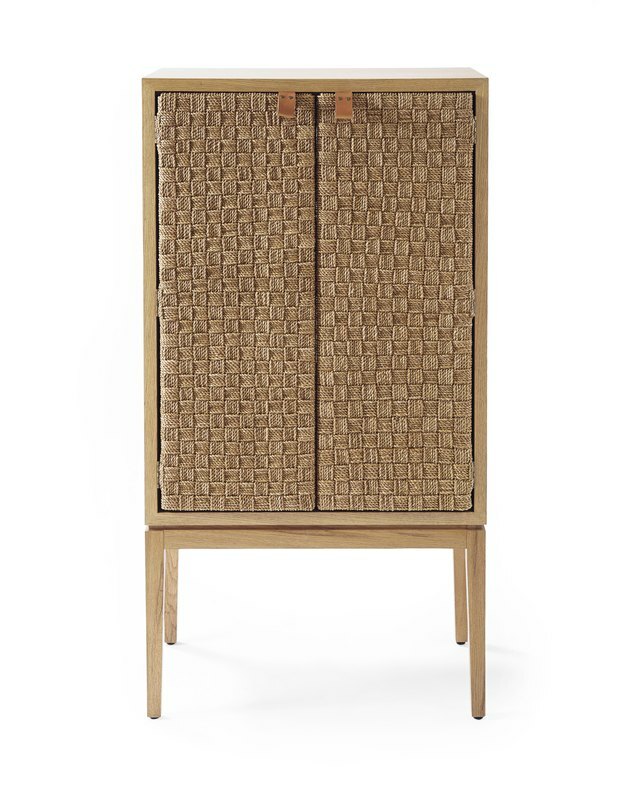 Throw it back with cocktail hour from this midcentury bar cabinet. 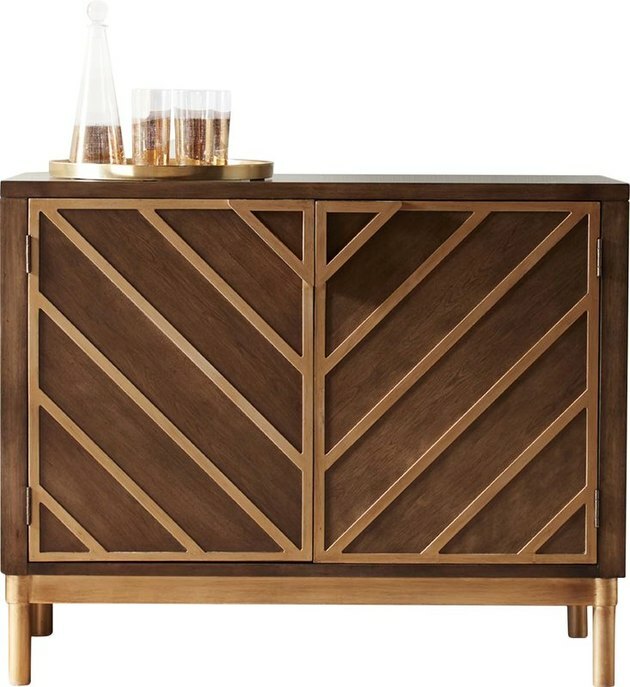 The chevron design on this cocktail cabinet from All Modern sets it apart. 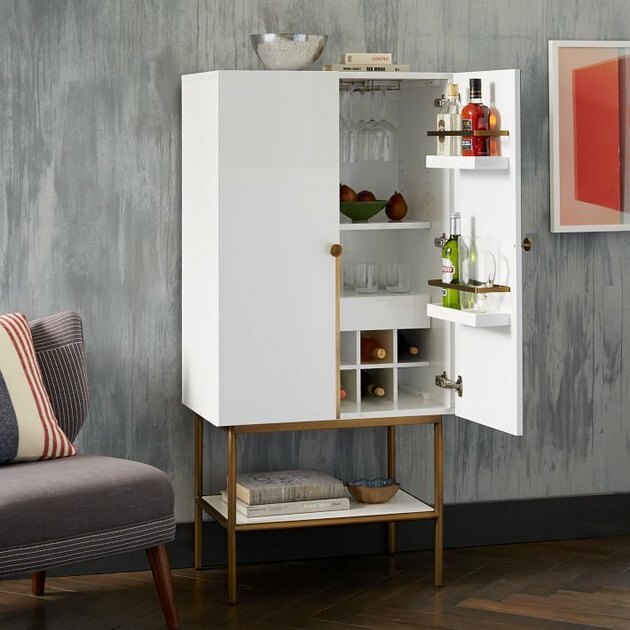 This sleek, modern hi-gloss mini bar offers just enough space for the essentials. 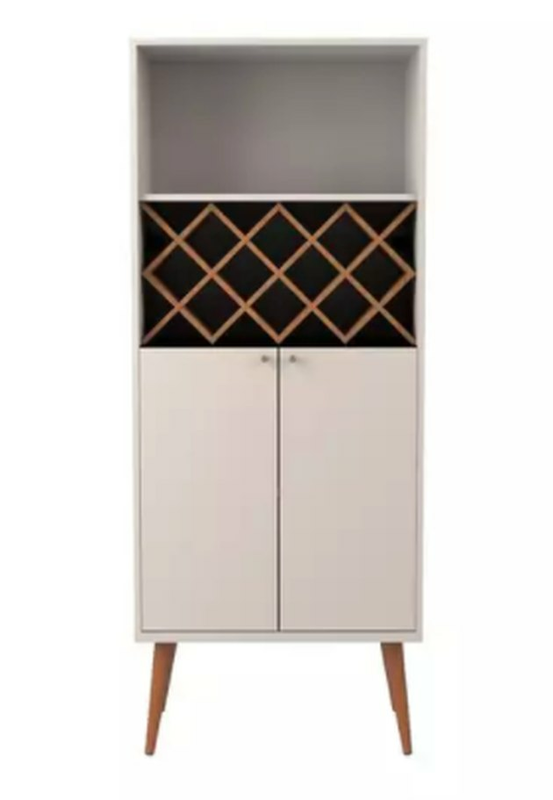 This modern wine closet from Overstock offers ample storage for the weekend sommelier. Don't worry, it's not real snake skin. 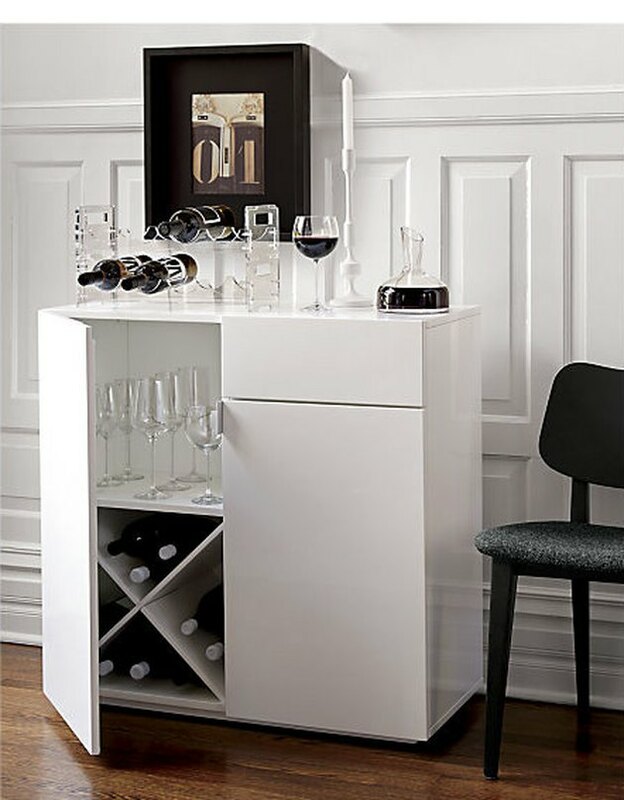 The inside of this glamorous bar cabinet from Staples is mirrored, and offers bottle holders and glassware racks. 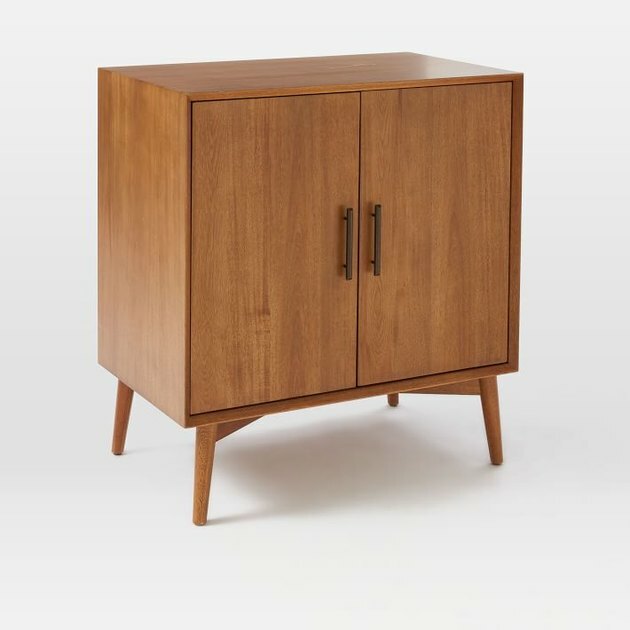 This midcentury spirit cabinet flips down to reveal a handy pouring surface for drinks. Talk about a bar cabinet that has it all: two removable serving trays, a silverware drawer, a flip down bar door, and more. You can purchase this one at Wayfair. 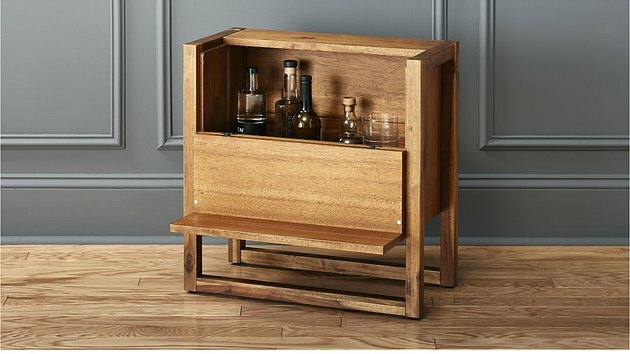 This acacia wood mini bar works double duty as a coffee table for the side of your sofa. Both of its doors flip down to create little drink-pouring sills. 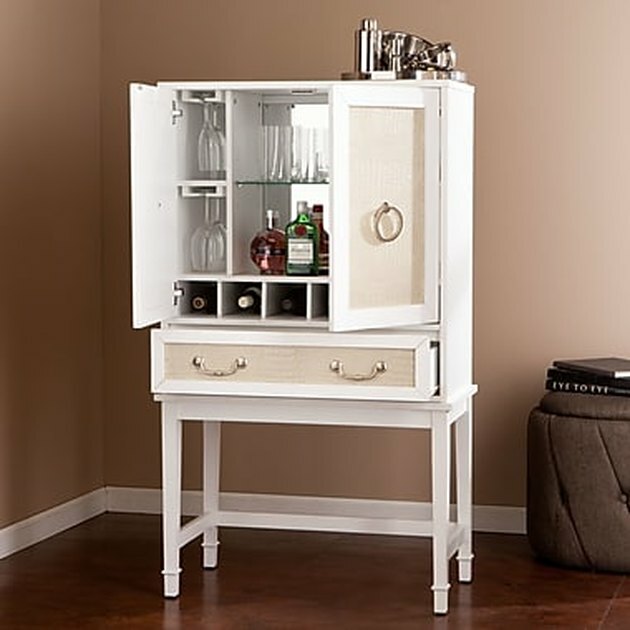 This spacious bar cabinet has a white lacquer finish and antique brass accents.